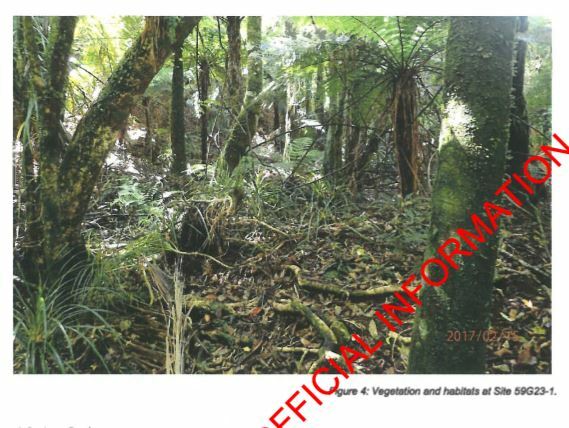 An Official Information Act request by Coromandel Watchdog of Hauraki shows that Oceana Gold have been trying to put more rare Archey’s frogs at risk on Department of Conservation land in the southern Coromandel. The OIA shows that Oceana Gold had approached the Department of Conservation to propose a variation to their Access Arrangement that would enable them to drill in areas known to be prime habitat for the threatened Archey’s Frog. The company proposed funding research and translocations that they felt would ‘offset’ the impact on the species from their drilling. Currently Oceana has been able to drill holes on sites where up to 5 of the rare frogs have been found. “They are already destroying habitat for up to 5 frogs per drill site and the OIA shows they wanted the right to relocate the species with no guarantees that the frogs could survive relocation. Offering funding to DOC and suggesting that an endangered species which relies on a very particular habitat should be moved shows they should not be allowed to drill there at all.” says Augusta Macassey-Pickard, spokesperson for Coromandel Watchdog. The Department of Conservation has reviewed the reports, and they have indicated that they would not recommend varying the Agreement. Survey reports obtained by the group, clearly show that the area has a far greater population that originally thought. This is a view supported by New Zealand’s leading expert on New Zealand’s amphibians. Professor Phil Bishop Co-Chair IUCN Amphibian Specialist Group says that translocating the frogs would be risky at best and unnecessary.